I love combining different colors in one outfit (like aqua + orange, pink + red, blue + purple), but there&apos;s something about a monochromatic look that always feels fresh. 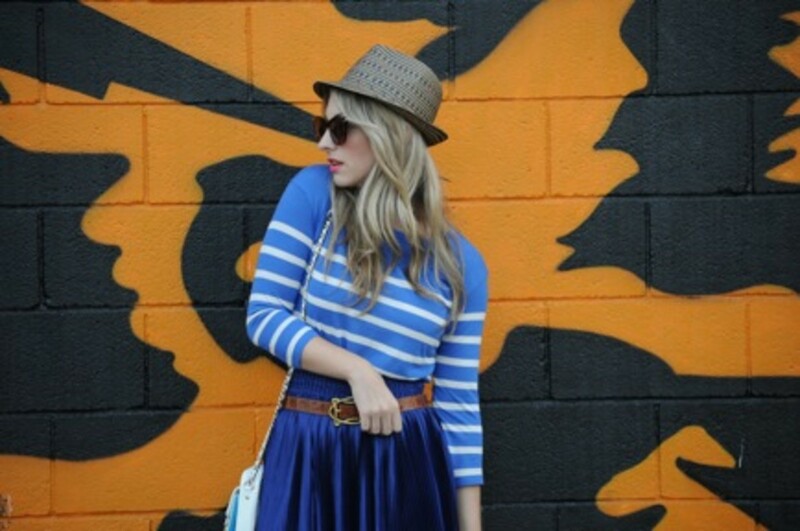 This ribbed royal blue skirt has such a nice weight to it and is balanced out nicely by a worn-in striped tee. Since the two blues don&apos;t match perfectly, it doesn&apos;t feel too matchy-matchy, especially when paired with gold shoes that are my equivalent of ruby slippers.